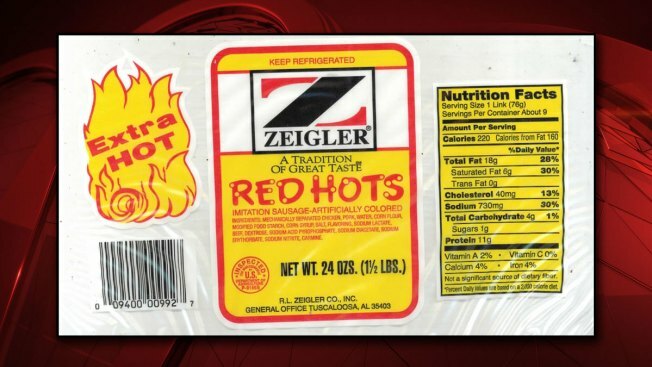 Packages of Zeigler Red Hots produced Nov. 29 are subject to a recall and should be thrown away and not eaten, the USDA says. R.L. Zeigler Co. is recalling approximately 11,664 pounds of a chicken and pork sausages over concerns it may be contaminated with bits of metal. "The products subject to recall bear establishment number “EST. P-9156S” inside the USDA mark of inspection. 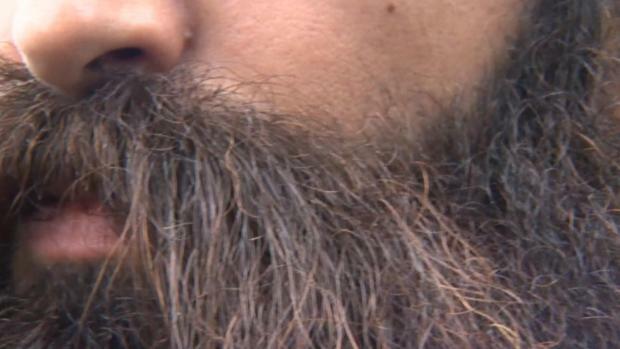 These items were shipped to retail locations nationwide," the USDA said. The problem was discovered after Zeigler received consumer complaints on Dec. 13 and 27, 2018 and investigated them. The company notified the USDA's Food Safety and Inspection Service of the issue on Dec. 29, 2018. There have been no confirmed reports of injury or reaction from consumption of the products, however the FSIS said it is concerned some of the products could still be in consumers' refrigerators or freezers. The USDA believes the following retail chains may have received the recalled sausages: Kroger, Piggly Wiggly, Walmart and Publix stores in Alabama, Ramey's and Vowell's markets in Alabama and Mississippi, and Winn Dixie supermarkets in Florida. Several other retailers in all three states as well as stores in Tennessee and Louisiana are also believed to have received the recalled products. See the list HERE. The USDA notes that the list may not include all retail locations that have received the recalled product or may include retail locations that did not actually receive the recalled sausages and urged consumers to check the label for the recall-specific information. Consumers with questions about the recall can contact Jeff Berry at R. L. Zeigler Co., Inc. at 334-410-9845. Consumers with food safety questions can "Ask Karen," the FSIS virtual representative available 24 hours a day at AskKaren.gov or via smartphone at m.askkaren.gov.